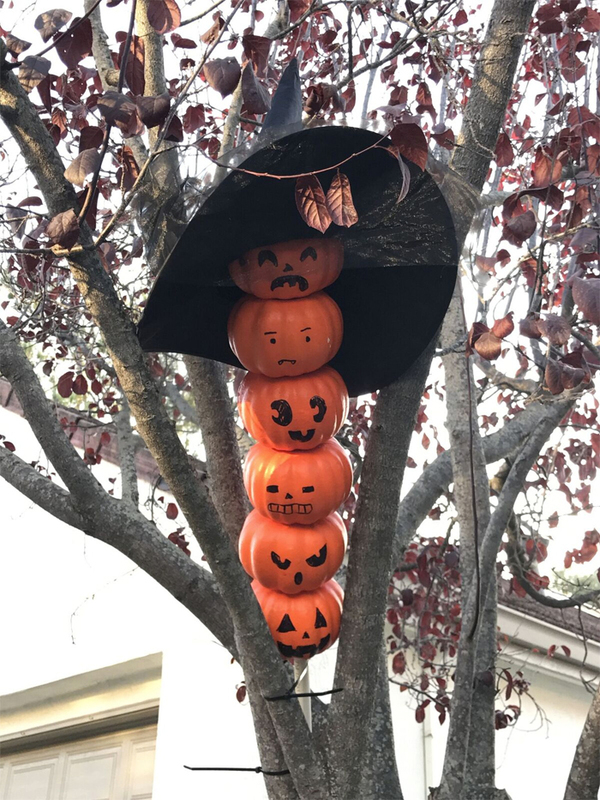 Josie had a great idea to take these styrofoam pumpkins she bought at the $1 store and put them on a PVC pipe with witch's hat. I thought it would be fun to draw faces on them. Now we have a super cheap and fun decoration to add to the collection!